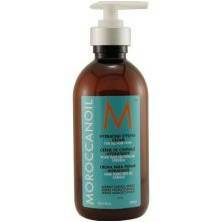 We Heart: Moroccanoil Intense Curling Cream – I Heart Hair, Inc. So, do you heart I Heart Hair, Inc. curly hair extensions? If so, you have got to check out Moroccanoil Intense Curling Cream. I know you will heart it as much as we do! <3. This product is a must for defining your curls and losing the frizziness. The best part of this product is that it leaves the hair soft, shinny (but not oily) and smelling great!